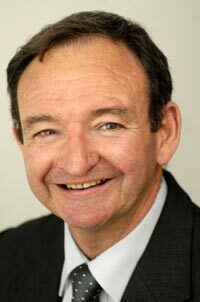 Prime Minister Tony Abbott announced this afternoon Sedwick will finish his term as head of the Australian Public Service Commission on December 13. It’s unclear if he was seeking a new term. It comes as the federal government battles with multiple departments over tough pay deals, with a below-inflation agreement with the Defence Department seen as the high watermark for other public servants. New secretaries at Prime Minister and Cabinet, Finance and soon Treasury are seen as a changing of the guard and drivers of a renewed reform agenda. Abbott says he will announce Sedwick’s replacement “in the near future”. Sedgwick, a former secretary of the Finance, Employment and Education departments, has served as commissioner since 2009. Abbott says he’s overseen significant reform in that time. Sedgwick was a member of the board of the Asian Development Bank for five years and prior to leading the public sector was a professor and director of the Melbourne Institute of Applied Economic and Social Research at the University of Melbourne. An economics graduate, he first joined the public sector in 1972. He was awarded the Centenary Medal in January 2001, and was made an Officer in the Order of Australia in 2012. He’s a fellow of the Institute of Public Administration Australia and the Institute of Public Policy at the Australian National University.